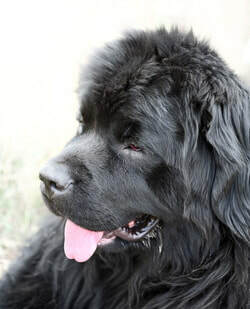 In 1987 our family adopted our Newfoundland named Ernie. Little did we know what we were getting ourselves into. only the very best. It was through him we became acquainted with the special qualities of the polyester lambskin beds. They were the only bedding he would sleep on. The only way to find a bed BIG ENOUGH to fit a regal Newfoundland, Ernie, was to start manufacturing them ourselves. So, in 1987 Custom Patterns started manufacturing polyester lambskin dog beds. As the founder and owner of Custom Patterns I invite you to try our pet beds. Our pledge is to provide the best quality products and personal service.